Transport Canada is lifting mandatory speed restrictions that were implemented in April to prevent North Atlantic right whale deaths. The agency says it isn't aware of any North Atlantic right whale deaths caused by ship strikes this year. Restrictions could be put back in place if whales are observed in or near shipping lanes. "A world-leading marine system requires strong environmental protection for Canada's coastal habitats, ecosystems and marine species, including whales," said Transport Canada in a news release. With restrictions in effect, ships 20 metres or larger couldn't exceed a speed of 10 knots in the western Gulf. Two shipping lanes — north and south of Anticosti Island — were exempt from restrictions unless whales were spotted in the area. The federal government also tested the use of drones for marine mammal surveillance which could help in developing new ways of locating and tracking right whales. 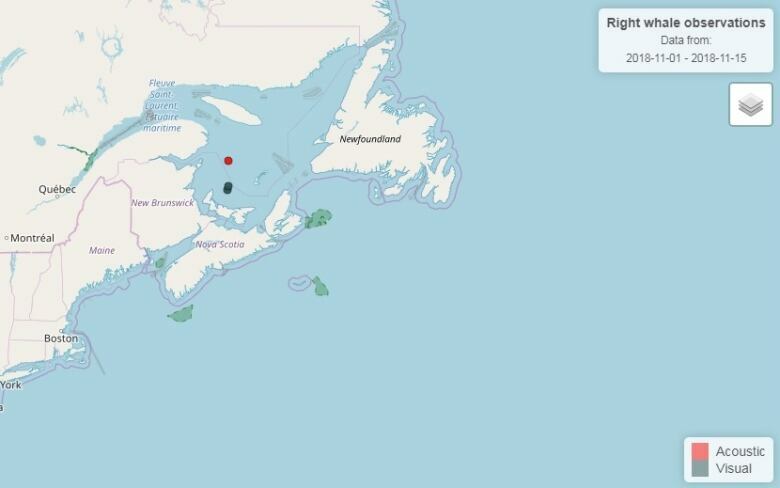 Dalhousie University has also created a map tracking acoustic or visual whale observations in the region. 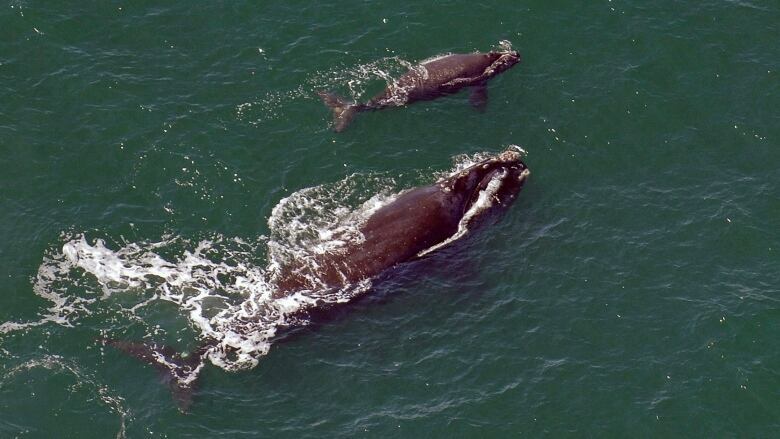 According to the map, three right whale sightings were logged between Nov. 1 and Nov. 15. Three penalties were issued between April 28 and Nov. 15 for not adhering to the restrictions, the release said. Several cases are under review, and vessel owners have 30 days to either pay the penalty or take their case to the Transportation Appeal Tribunal of Canada. Last year 12 North Atlantic right whales died in the Gulf of St. Lawrence. The global population of the marine mammals is now estimated at 450, according to Transport Canada. A new report from the North Atlantic Right Whale Consortium says only 411 of the marine mammals remain.